Sake Cup - Kaneko Kohyo Pottery Manufacturing Co.,Ltd. 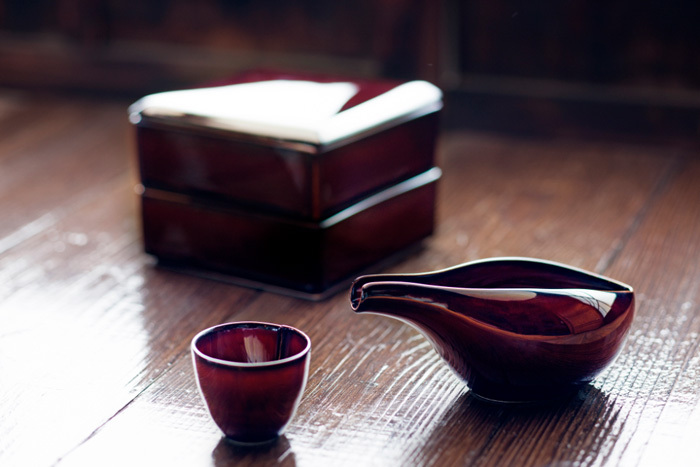 An elegant serving set, ideal for celebrating or enjoying Amazake. 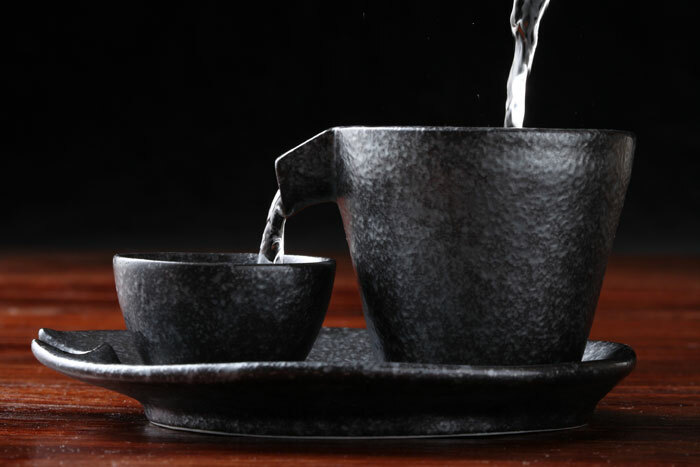 The quintessential vessel for taking your time and slowly enjoying cold sake. Serve sake side-dish snacks on separate Giyaman tableware to create the optimal setting. 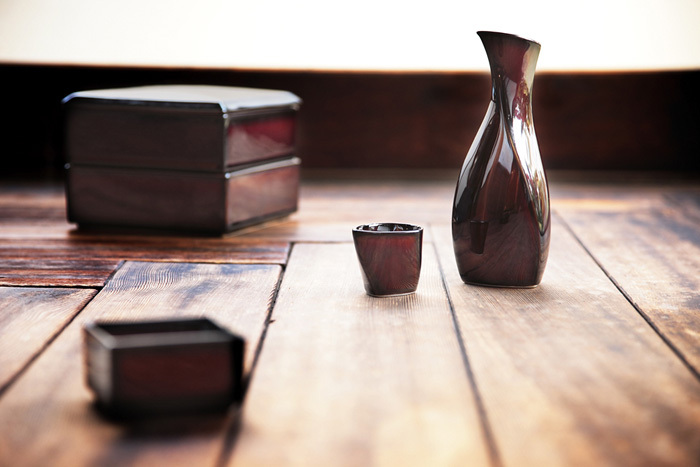 A modern, stylish sake set in chic urushi lacquer brown original glazing. Enjoy the unique sparkle of the sake as it is poured into the deep, rich hues of the original glazing, offering a different drinking experience than that of the usual white porcelain sake cups. Enjoy delicious chilled sake, poured from this specially designed aerating vessel into your sake cup. Ideal for premium Ginjoshu and other fine sakes, the pourer aerates the sake as you delight in filling your cup to the brim and over with fine, chilled sake. A better way to enhance the enjoyment of more fine, fragrant chilled sakes. This new item is much in demand from sake connoisseurs. Choose From One of Four Cups to Better Enjoy a Bottle of Sake With. 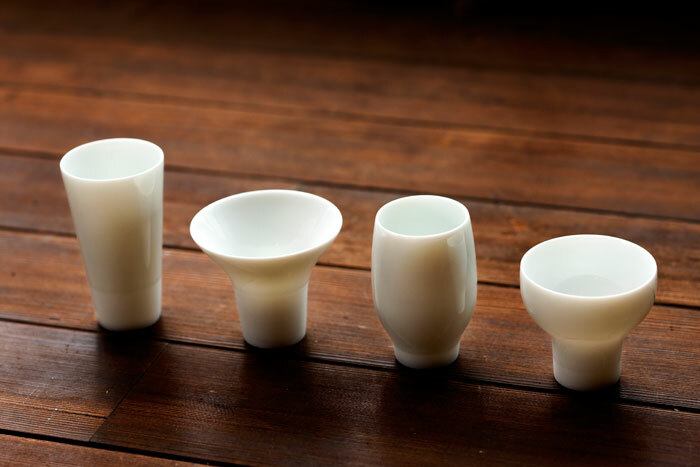 To better enjoy sake, we have produced four types of original sake cup. Discover the distinct differences revealed in a single bottle of sake simply by trying the different cups, and be surprised at how the taste and aroma changes according to the form of each cup. The differing width of these prudently designed drinking vessels allows for the correct aeration, or for concentrating the taste and aroma. Choose the right cup to enjoy the sake being served, the food it is being served with, or according to your mood or the atmosphere of that particular day.